If we’ve said it once we’ve said it a hundred times: it’s incredibly important to keep up with your regular, preventative car maintenance. Not only does it extend the life expectancy of your vehicle, but it improves fuel efficiency, helps you stay safe, and maintains the value of your vehicle as long as possible. 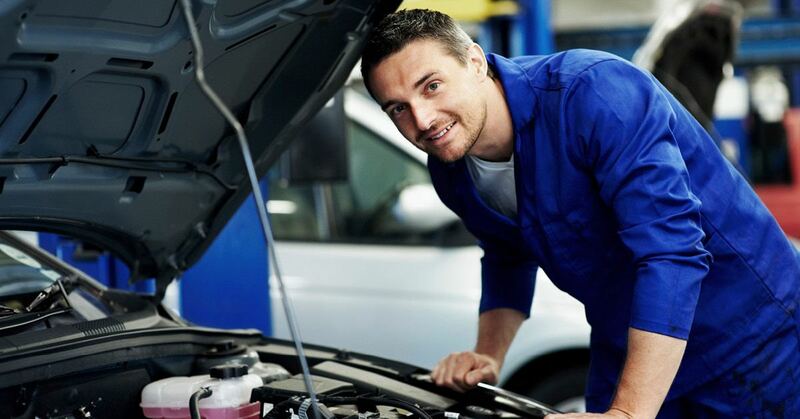 More importantly, keeping up with regular car maintenance will actually save you money. Without regular maintenance, every little kink will worsen and eventually lead to calamitous problems. Problems you haven’t budgeted for. The bottom line: spend smaller amounts on preventative car maintenance today to avoid massive repairs tomorrow. Periodic tune-ups help avoid serious, costly damages in the future. These damages occur when you neglect your regularly scheduled maintenance responsibilities. For example, when you decide to skip the oil change, the oil will get dirtier and dirtier until your engine wears out and fails. How do you prevent this? With a $50 to $70 oil change. The cost of a new engine? Between $2,250 and $4,000. Starting to get the picture? The purpose of a tune-up, like all forms of preventative car maintenance, is to identify developing issues before they become serious. Small issues in a vehicle tend to have a snow-balling effect. The longer they’re left alone, the larger they’ll become and the more they’ll drag you down. If you catch the issues early on, you’ll help ensure the rest of your vehicle stays healthy, and thus cut down on those trips to the repair shop. This doesn’t need to be you. Consider the previous engine example. If you decide to skip your oil change and your engine fails as a result, it might make more fiscal sense at that point to get a new car altogether, depending on the age of the vehicle, the number of kilometres on the odometer, and other factors. Given the quality of modern vehicles, almost every vehicle can reach upwards of 250,000 KM in its life cycle. That’s 25,000 KM a year for ten years. Yet, the average driver owns their car for just three years. That means the average car buyer is buying three times the number of cars they probably need to. Granted, this only happens if you stick to your vehicle’s regular maintenance schedule. Tune-ups aren’t what they used to be. They used to refer to a service consisting of replacing parts to restore the ignition and fuel systems for maximum engine performance and efficiency, but that was back in the day when vehicles needed frequent adjustments for everything from spark plugs to ignition timing and fuel-air mixture. With newer models, vehicles are intensely monitored and controlled by computers and sensors. Ignition timing is fixed and controlled, and so is the idle speed and the fuel mixture. Compared to older vehicles, the ones on the road today can take much better care of themselves. Bottom line: it’s better to keep your car from heading to an early grave – book it for a tune-up. Now that you’re convinced of the merits of a tune-up (right? ), you might be asking yourself: when is the best time to get one done? The answer: March. The reason is simple: the waiting times are at a seasonal low. Repair shops at this time of year aren’t nearly as busy as they will be later on. It may not feel like it now, but we’ll be saying goodbye to winter in a few weeks time (! ), and that’s when the lineups for the repair shop start getting crazy long. When spring and summer roll around, people start preparing themselves for their much-anticipated road trips, and so the calls start flooding the repair shops. That’s why you should get the jump on them and get your tune-up done early while the mechanics aren’t as busy.